Islanders who lack strength are not allowed to fight in the military. As a result, they must undertake other endeavors. The practice of magic is one of such endeavors, provided the strong mind required is present. 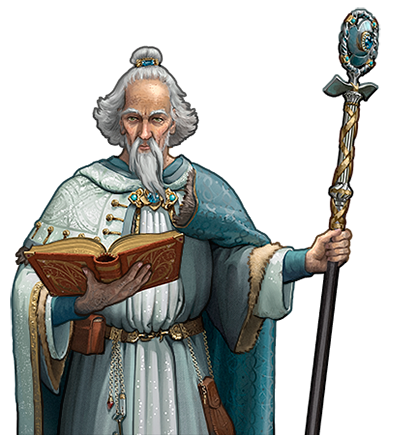 Originally used to create the everburning sacred fires in temples using powers of the divine, some scholars have harnessed this power for more militaristic purposes in order to join their brethren in battle as supportive units. The law that dictates any man willing to fight the undead are allowed to join the military grants them this honor. Special Notes: This unit is capable of neutralizing the effects of poison in units around it. This unit has magical attacks, which always have a high chance of hitting an opponent. This unit’s arcane attack deals tremendous damage to magical creatures, and even some to mundane creatures. Last updated on Sat Apr 20 01:52:27 2019.